Comic Relief and UK Community Foundations are delivering £2 million investment into supporting small community led organisations across the UK. Cornwall Community Foundation are administering the grants in Cornwall and the Grants Panel have made the first awards amounting to £13,887. 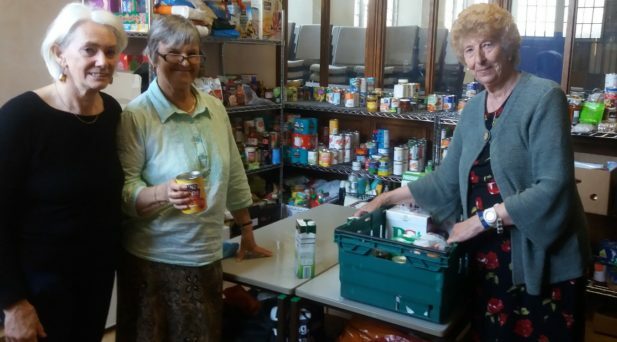 Organisations supported include Newquay Foodbank to enable them to gain full charitable status in 2018, provide computers at distribution centres to help their client get online and to put in dedicated phone line. Gwealan Tops, a charity dedicated to promoting play for children, young people and the wider community, were awarded funding to improve administrative functions, develop their volunteer process and recruit new volunteers. The Core Strength – Local Communities initiative provides funding for essential core running costs for small locally led community organisations. Grassroots organisations like these have been hit particularly hard over the last few years due to the current economic climate, which has made it harder to secure funding and yet these organisations are often the first and sometimes only point of support for individuals and communities trying to make a difference in their lives.